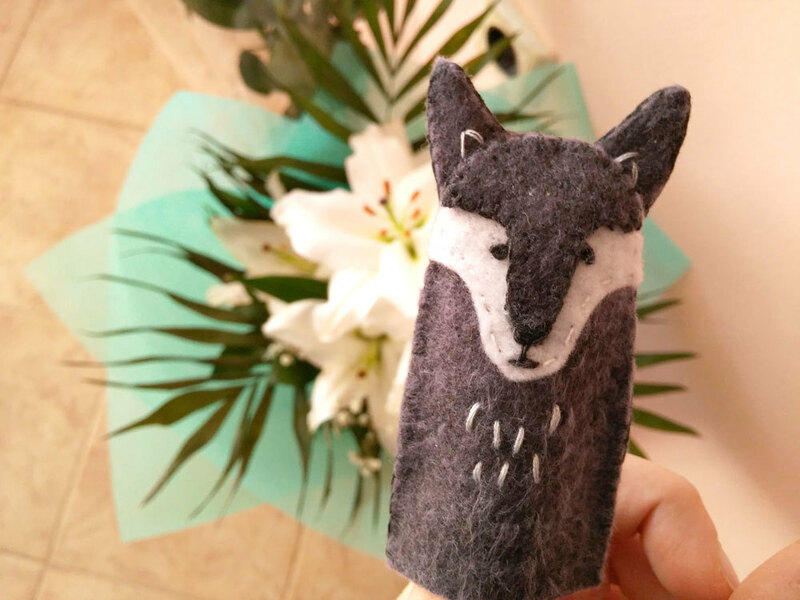 Felt finger puppets are a great craft for both kids and adults! They are a ton of fun and surprisingly simple to make. Once you get the hang of this, you will be able to whip a puppet in as little as 15 minutes flat! Do you know what is the best part? You can make the puppets resemble anything you like. Just use your imagination, a little creativity, (and some inspiration from the internet)! Making those simple finger puppets is so easy, that even a child can do it. If you are not good with needle and thread, you can glue the parts and still make the puppet. Freehand the desired design. You don’t need to be too accurate, just draw a basic idea to paper. Tweak it to your liking. Keep in mind that the shapes will be cut out from felt, don’t make them too tiny and don’t add too much detail.